Children with hearing loss have special needs as they learn and grow. Navigating and coordinating their care can be complicated and at times stressful. 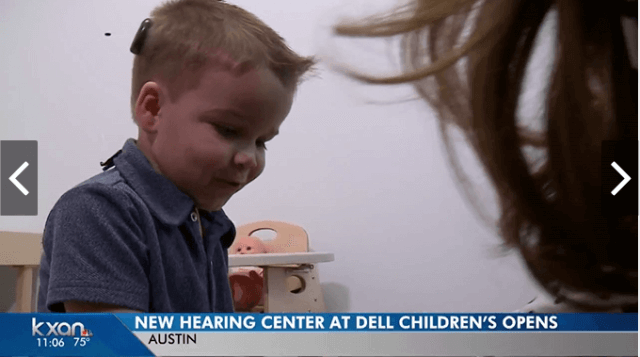 The new Hearing Center at Dell Children’s Medical Center of Central Texas offers the first centralized, comprehensive care for diagnoses, treatment and therapy for people with hearing loss. The new center was featured on KXAN News. Five out of every 1,000 children are impacted by hearing loss, according to the Centers for Disease Control and Prevention. The center’s family-centered team approach ensures that each patient and family receives seamless care, from initial evaluation to rehabilitation.